Our tables of headset sizes have been reorganized to make it easier to determine which headset can be made to fit which frame and fork. Fork crown race seats can be milled down and head tube race seats can be enlarged. 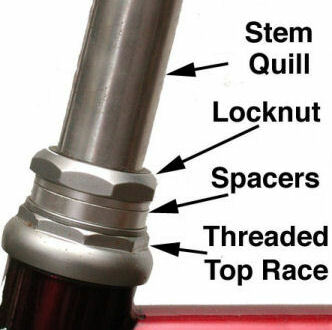 The tables now are in order of head tube race seat size, as the frame is the more difficult and expensive to replace, followed by fork crown race seat size. The tables are used in the article on headsets and several other articles. This entry was posted in Updates and tagged bicycle, headset, maintenance, repair, shelbroco, Sheldon, Sheldon Brown, sheldonbrown, sheldonbrown.com. Bookmark the permalink.